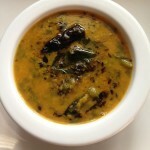 Palak Dal Recipe is another dal recipe from my blog made with spinach leaves and toor dal or toovar dal or pigeon peas. ‘Palak’ is an hindi word for spinach. This dal recipe is an awesome recipe as it contains a healthy green leafy vegetable and also dal which is high in proteins. The combination of both the ingredients adds great value to the dal. 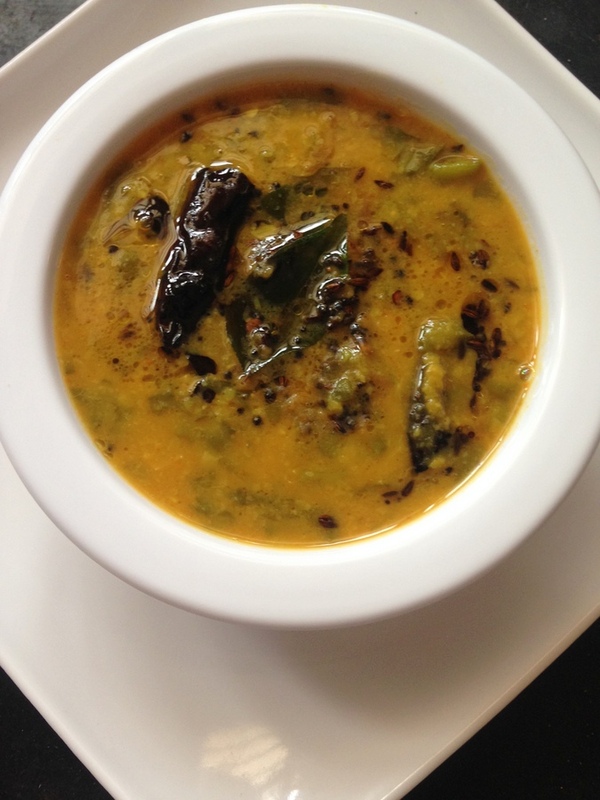 This dal is also called as ‘palakura pappu’ palakoora pappu down south especially in Andhra Pradesh. The dal is a common and everyday dish made in Indian households and is loved by every Indian. However there are many variations in making them and also all types of dal can be used to make different dal recipes. Dal or lentils are so useful and healthy and one cannot ignore them. The lentils are packed with wonderful health benefits and each dal has its own benefit. My today’s recipe is palak dal which is made with yellow lentils and is neither too thick nor too thin and it can be eaten with rice or roti. 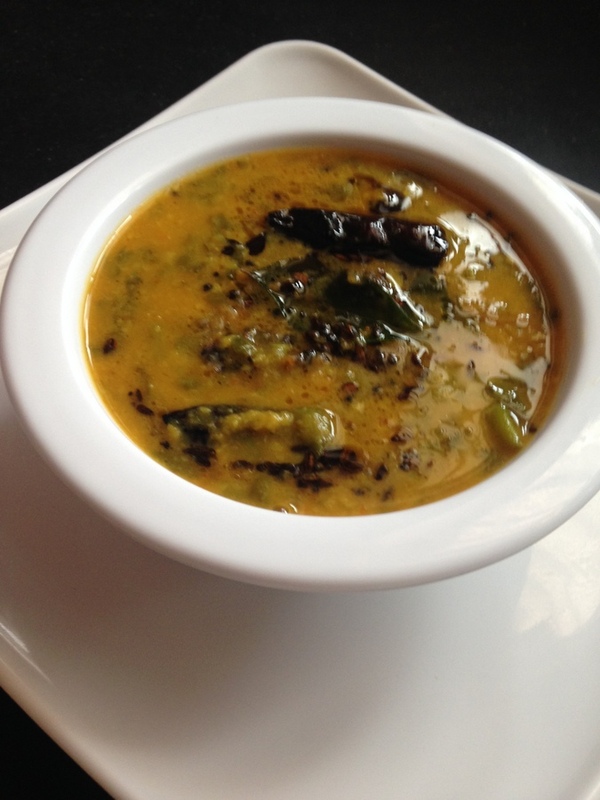 This palak ki dal is made without tamatar into it. 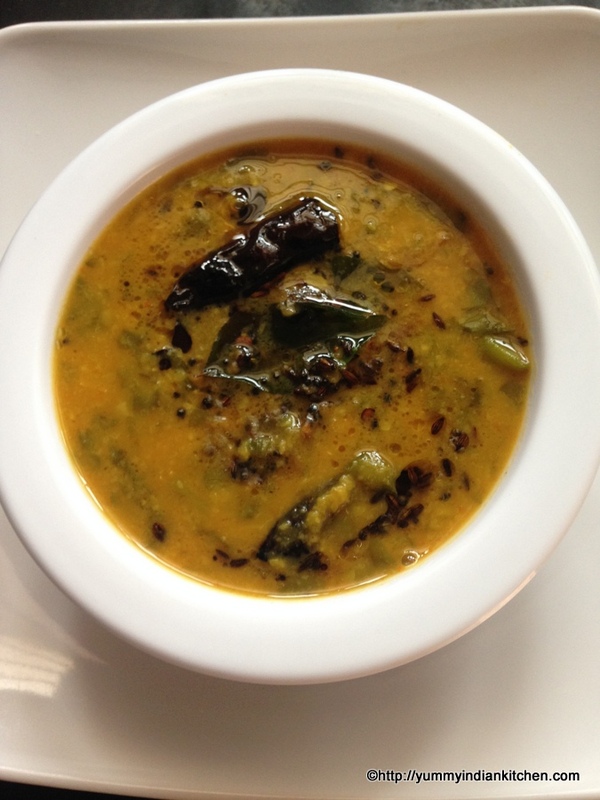 Dal is a wonderful accompaniment for rice and is mostly a preferred dish. Palak dal too can be made in various ways and here I am showing one way of making them. In this recipe I have not added tomatoes as its a tomato free dal. I would love to flood my blog with many dal recipes and I hope to reach out to all those who just like to eat different dal dishes. Dal recipes appear to be complicated but they are the easiest of all in making though they require a little more time in making. Some dals can be made in such a way that they can be eaten only with roti but dals such as palak dal goes very well with rice and roti. Let us take a look at making this wonderful palak dal recipe and I hope it is liked by my blog readers. Before we start making this dal it is better to chop the fresh spinach leaves and keep them handy. Along with the dal it is always better to have a veg stir fry as a side dish too and make the meal more interesting. Palak dal made with toor dal and spinach. Firstly, in a pressure cooker, add the toor dal. Add green chilles, add tamarind strands. Add turmeric powder and red chilli powder. Add about a teaspoon of oil. Give the mixture a mix. Pressure cook the dal for about 3-4 whistles or until the dal gets tender. Reduce the steam, add salt as per taste and mash the dal finely. Place the cooking pot with mashed dal on gas stove on sim flame for a slight boil. Meanwhile get ready with the tadka. In a tadka pan/sauce pan, add oil, heat it. Add cumin seeds, mustard seeds and let them splutter. Add dried red chillies and stir well. Add curry leaves and when they give out a crackling sound, take the tadka pan and transfer the tadka into the cooked dal. Serve the dal with rice or roti. 2. Soaking the dal tenderizes the dal quickly. 3. Tomatoes can be added as an optional ingredient while pressure cooking the dal . 4. Additional ingredients can be added in the tadka such as garlic and black lentils for enhanced flavor. 5.Adding oil while pressure cooking the dal speeds up the process of tenderizing the dal. at My Legume Love Affair. Hope you enjoy mine too (the one with the picture of organic red lentils).